Lost in Transcription | GoWall — Better Meetings. Guaranteed. Are your meetings lost in transcription? How many times have you attended an in-person or remote meeting where great ideas were generated — but you never saw the meeting notes? And what about the sessions where ideas flourished on flip charts and sticky notes, only to languish there for eternity? The reason? The person responsible for transcribing the meeting notes couldn’t read the handwriting, couldn’t make sense of the order, or simply couldn’t get to it. Research shows that meeting notes become an afterthought as soon as everyone leaves or logs off. According to a story in the Atlantic1, many of us take notes during meetings, but never review or refer to them again. Plus the countless meetings attended everyday often generate group notes and action items that no one ever receives, simply because the odious task of transcribing falls through the cracks. Can the lack of structured, actionable meeting data be slowing down your team’s performance? We believe it can. But what if all those amazing ideas and potentially game changing insights could be captured and shared in a structured, organized and actionable way – instantly? Now they can be. GoWall specializes in meeting intelligence. Because we know the problem isn’t with meetings. With the right technology, meetings can be transformed from time-sucking rituals to a [acclerators, generators] of valuable, structured data. Using digital smart notes to engage and focus attendees, GoWall accelerates idea flow and instantly captures every comment for review, learning and action. People know what was shared and what actions need to be taken. 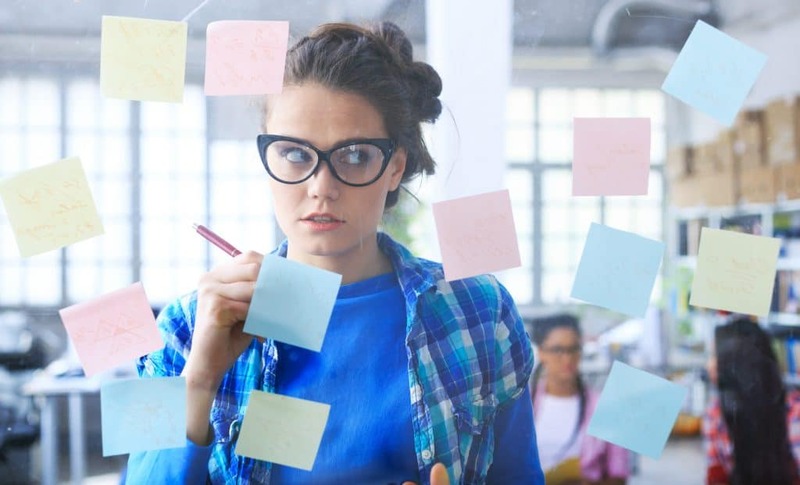 No longer will your staff be faced with tedious hours of transcribing meeting notes that have been scribbled (or worse, abbreviated) on white boards, flip charts or sticky notes. Everything is organized into categories the meeting leader sets up before the session begins – or on the fly if the situation calls for it. In fact, GoWall is making meaningful meetings the new normal! With our meeting intelligence software, everyone is engaged and no one ends up spending hours trying to transcribe and organize notes. We think there are better ways for [you and meeting participants] to spend their precious time. Which is why we invented a way to not only capture ideas digitally but to generate meeting intelligence that can be used to drive business growth.